Canada’s illustrious history in textile manufacturing started in 1671 when pioneer settlers began weaving wools for clothing and furnishings. In 1827 our first mill was built, and soon enough mills were found all over Ontario, Quebec and the Maritimes. Canada had the abundant natural resources like water and energy necessary for the industry to thrive. Historically, Canada has always been seen as a country of textile innovators. From open-eyed yarn spinning innovations to shuttleless weaving machines, we have always been at the forefront of textile manufacturing evolution. A shift toward globalization hit the Canadian textile sector hard, when the toxic manufacturing process was moved to developing nations where environmental and wage regulations were negligible. Overseas sweatshop wage savings caused many manufacturers to opt for imports of textiles. To date, Canada imports 9 times more per capita in textiles compared to the US and 3 times as much as the EU. Canada’s biggest client (81% of our exports) was the USA until recent trade shifts were made to favour American production. That left large Canadian traditional textile manufacturers without a customer base. From 2004 to 2010, employment in the sector fell by 60%, with a 40% reduction in firms. The hardest hit were conglomerate manufacturers that depended on commodity quantity sales to cover exorbitant overhead. The companies that survived were forward thinking family businesses and smaller firms that were flexible enough to invest in scientific innovations that secured their market share in niche technical textile industries geared to medical, defence and industrial textile consumer bases. Despite this industrial shift, the fashion/apparel industry is still Canada’s most loyal customer, purchasing 40% of our material output. In today’s market, China is the biggest industry player, producing 32% of the global’s textile demands. India is following close behind. Unfortunately the moral price Canadians pay for the dollars we save importing these goods comes at the cost of lives, like we saw in Bangladesh. 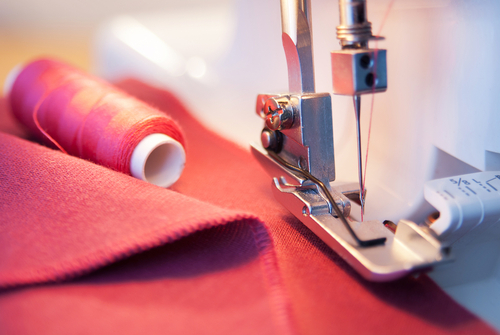 According to The Canadian Encyclopaedia, the average employment multiplier for the textile industry is 1:65. That means for every 1 job lost in the local sector, 65 other jobs in unrelated industries were negatively impacted also. So Canadian consumers have felt the impact of consumer choice. The loss of Canadian manufacturing jobs has increased poverty rates across the country, with an estimated 50% of Canadian children being assisted by food banks. Canadians understand more than ever the social price that comes with saving a few cents at the till. Canadians are now demanding more local jobs, and more locally sourced and manufactured products despite the premium local production demands. Consumer awareness has reached critical mass and technology advancements in sustainable textile production have given rise to a wonderful opportunity for the Canadian manufacturing sector to experience a resurgence, especially in niche textile markets. The global corporate shift to circular economics is also inspiring confidence in local industry investment. The Canadian government is helping this trend by eliminating tariffs on raw materials and equipment needed to get us back in the swing of things. We need the provinces to ban textiles from landfills. Green technology is well equipped to process this waste in value added ways that benefit us locally. We need supportive investment. Companies willing to innovate and create green-tech jobs in textiles must get fiscal support from government. We need a commitment from Canadian manufacturers to buy source material from local producers, favouring sustainable production methods such as closed-loop processes. We need a commitment by Canadian consumers to buy local, even at the cost of a few extra bucks. Aren’t we tired of seeing our friends and families unemployed? There is a direct correlation between consumer buying patterns and local employment. Despite a decade of losses, the Conference Board Of Canada estimated in 2011 the Canadian textile industry saw modest gains of $13 million. $97 million in profits is projected by 2015. Things are looking up for Canadian textiles thanks to innovative green technology! Mr. Berger of MW Canada in Cambridge, Ontario is using nanotechnology to imbed window coverings with solar technology to keep a home’s electronic devices fully charged. Neat eh? Textile Waste Diversion commits to going the extra mile to seek out suppliers and clients that are local to Ontario, in order to maximize the employment multiplier potential for the province. We will have an announcement soon, as negotiations are underway. We also commit to adopting green tech innovations that add value locally to the waste we currently process in order to not only create jobs, but to create jobs for barrier employment demographics. You can expect an announcement around this in early 2014.